Damianista often visits New York, and when she does, we try and get together to chat and catch up. On one of her Spring visits, on a subway ride home, she asked me how I became a fan of Damian Lewis. I told her the story and her reaction was: “You should post that on the blog!” When I finally wrote up my story, Damianista came up with the brilliant idea of getting stories of how others became fans of Damian Lewis and posting them on the blog. How interesting it would be to read everyone’s stories and to see just how we all became a happy, FUN community! Damianista sent the word out, and the response was amazing! Well, Henry is 525 years old today and popular as ever — to quote Damian Lewis: “Henry, as a brand, is right up there with Coca Cola!” And, I don’t think anyone can deny the recent contributions of Hilary Mantel’s brilliant work Wolf Hall & Bring up the Bodies — the books, the play and the TV drama to Henry’s as well as Tudors’ popularity in general! 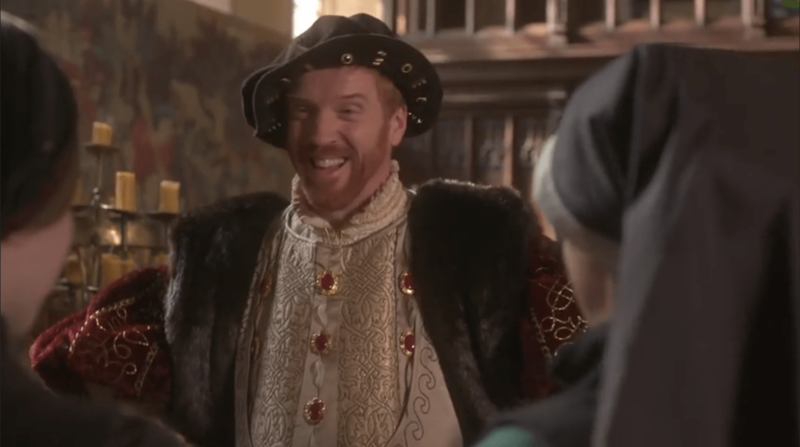 In celebration of the King’s birthday, it is my utmost pleasure to re-visit the most memorable Henry moments in Wolf Hall TV Drama.